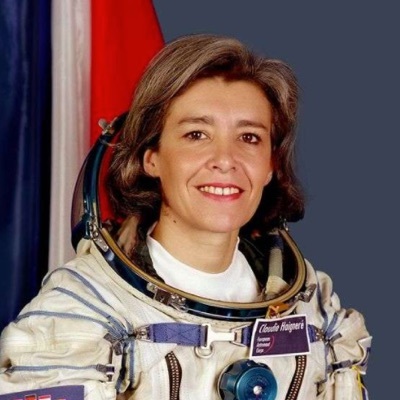 Excerpt from the discussion between Claudie Haigneré – scientist, spacewoman and French female politician – and Eric Bellion during the Vendée Globe. I find that this sharing of human adventure is really something great during our times since they are troubled, so when someone allows us to look up beyond the horizon, beyond the foundations, as you are doing, we really need it, it’s wonderful. In these extreme environments, be it space, be it the oceans, you can’t be prepared for all the situations because there isn’t any possible replication of what we are about to experience, and that’s what’s wonderful! This is where we have to continue being hungry and having the desire to discover the limits, and when we find them, to go beyond them when you have to push the boundaries. We never know where our limits and our capabilities are. It’s only when we push a little further that we can discover whether there are boundaries or not and if we can cross them. This indeed is a characteristic of adventure! I was lucky to go on 2 space missions, to live almost 10 years in the Star City in Moscow, to prepare with consecutive training; adventure isn’t only the time of the mission, it’s not only your time at sea. The adventure was also the human adventure for me, working with Russians, Americans, with bomber pilots who were ex-heroes of the Soviet Union, as well as with geophysicists, or Canadian engineers. All this diversity represents a part of the adventure for me, the human part of an adventure, which I really did love. We are a lot cleverer when we think of a problem together. Adventures of exploration are inspiring; they are what allows us to effectively get out of a future where we are the victim, for a future where instead we are going to create, we are going to carry, we are going to want to define, and it is our job to define this future. If we remain curled up and only replicate old behaviors or suffer constraints imposed by others, of course, it is very limiting.